Based on this new change, some of the following information may not be as relevant anymore. 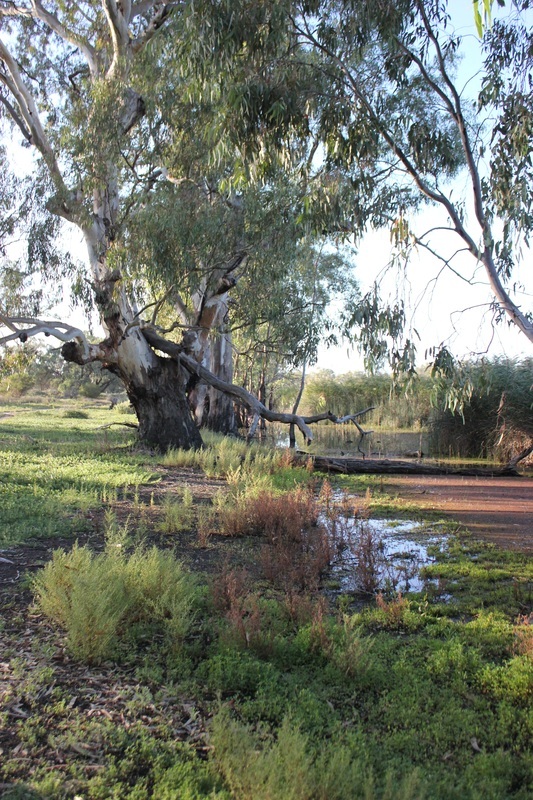 Loch Luna Game Reserve is located around 210 KM of Adelaide, via the Sturt Highway (off Barmera-Morgan Road, near Nappers Bridge). It is well sign posted. 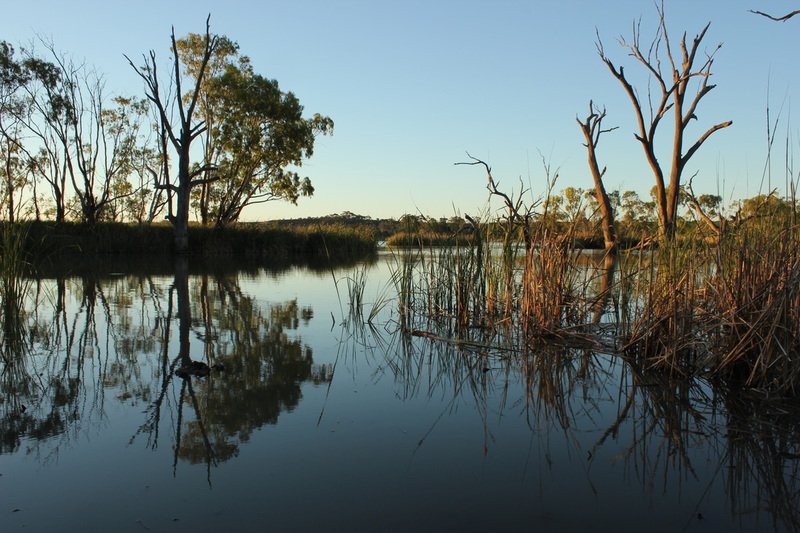 The Reserve is made of narrow creeks, shallow swamps and lots of birdlife, and is a very tranquil place to camp. 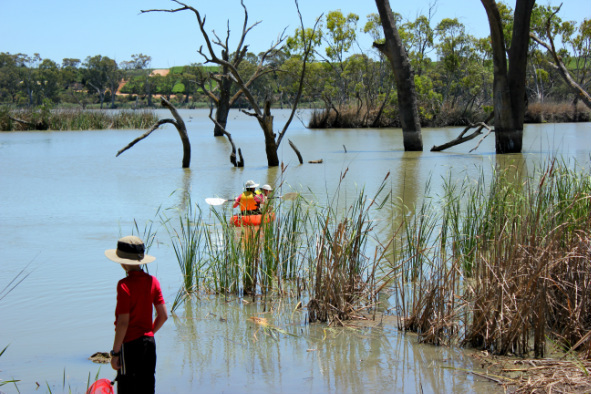 Those of you who kayak or canoe will love this area as there are many little places to explore, and if interested in exploring it this way, Australian Canoeing website has more detailed information on routes and launch sites. Worth checking out. On some of our visits, we have been the only ones in the entire Game Reserve, and as the water is so shallow, waterskiers and boats do not frequent this area. Those visits were non-peak times. Once in the Reserve, finding where to go and finding the campsites themselves is a bit of a challenge. Arrive in the day, and it will be easier, but signage on roads within the Reserve is poor. At peak times, the campsites (1-10) go very quickly. 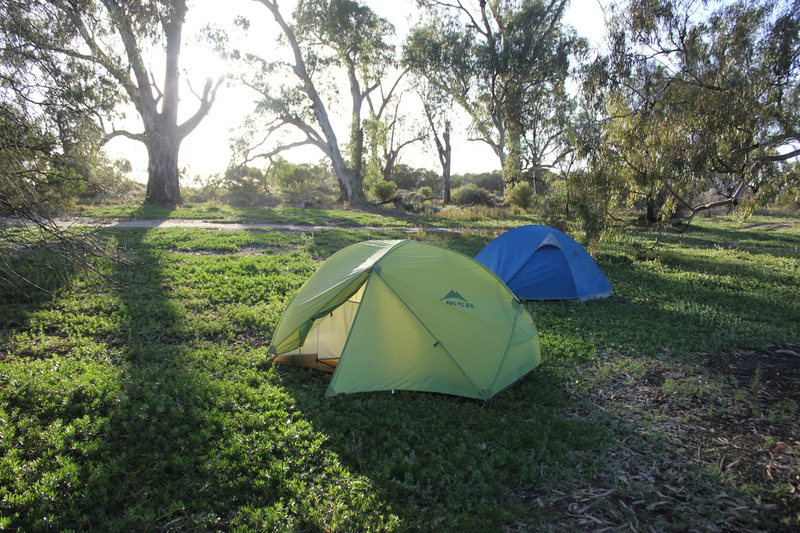 On an Easter weekend, all campsites were full by early morning on Good Friday. You cannot camp in non-designated sites, so if you can't find a campsite, you have no choice but to leave the Reserve. If this is the case, you will need a backup plan on where to go! Booking ahead of time will mean that at least you are guaranteed of a campsite. There are no facilities at all within the Reserve. There is a brand new toilet at Nappers Bridge now! It’s on the Lake Bonney side of the bridge, but on the north side of the bank, near where Nappers Ruins are. But that's not close to your campsite, so bring that chemical toilet with you! As mentioned campsites are not clearly marked, but all that we have seen have good shade and are spacious. Most would be suitable for caravans and trailers, and of course, all are suitable for tents! The numbers for each site face out, to the water, so those in canoes can find the site easily. Those campers coming from the road, have no idea on what site you are at. The amount of access to the water does vary across the sites, so depending on what you want to do near the water, might affect your location choice. Sites 1, 2 and 3 have good access though Site 4 appeared overgrown and access to water was impeded by tall reeds. Site 5 is very large and suitable for more than 1 group and has a large expanse of water in front of it. Site 6 is a good sized site, but you can't really get to the water because of a bank of reeds which prevents you from doing so. There is a small entrance to the lagoon, suitable for canoes. Sites 7-9, are a short dirt ride away (past a quarry) and have a different outlook to the other sites, and some are even grassed. Plenty of shade and space. We noticed that if people find the park to be full, they all seem to end up in the area of sites 7-9, as it's at the end of the road. You might have extra visitors in your camping site (which you thought would be private) as its a large-ish area. This area did seem to attract the overflow of campers in peak times. Site 10 is located by itself on another road. 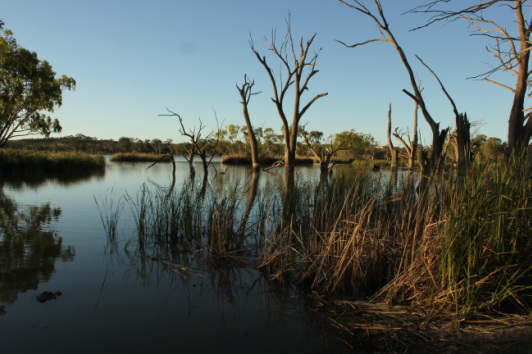 We found that sites 6-10, you can hear the noise of the main highway taking you to Barmera/Berri. At night, the sound is of course louder. The main reason to come here is to enjoy the water and take advantage of the serenity and scenery. Those who enjoy fishing should be able to catch something (we always seem to catch carp!). Put out a yabbie pot, and see what you get. We have caught a large number of yabbies, prawns and small fish in our yabbie pot. This is a great activity for children, who love seeing the results of their 'catch'. This is not a good section of the river for swimming. The water depth varies at each campsite, and it is very murky. You cannot see anything in the water, and it's not pleasant putting your feet down once in the water, and you get covered in mud exiting the water. Paddling around the peaceful Chambers Creek is a great way to spend your time, and going out at dusk in the kayak is a great way to see the water in a different light. Need alternatives to Loch Luna?